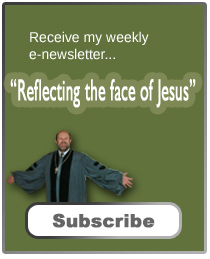 The title of this post might raise a few eyebrows. Let me assure you, such a summer has nothing to do with me as my Great-Grandparents were in diapers during the summer of 1884. That summer was a pivotal year for baseball. I thought about this book last week while at the General Assembly in St. Louis, where my hotel looked over the Cardinals ball park. In this book, you’ll learn about the team before they were named for the red bird. It’s a good way to work yourself up for SIPC’s summer evening trip to historic Grayson Stadium where we’ll watch the Savannah Bananas take on the Macon Bacons. (We’ve have a block of tickets reserved for July 31-call the office for details). 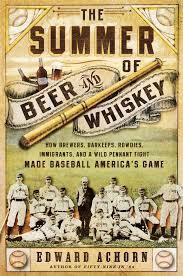 Edward Achorn, The Summer of Beer and Whiskey: How Brewers, Barkeeps, Rowdies, Immigrants and a Wild Pennant Fight Made Baseball America’s Great Game (New York: PublicAffairs, 2014), 259 pages of text and another 59 pages with statistics, notes and index. A few photos and drawings scattered throughout the book. This was a delightful read! Baseball in 1883 wasn’t quite the game we know today. Although pitchers were no longer pitching strictly underhand, as in the early days of the game, they were required to release the ball below the shoulder. Pitchers usually stayed on the mound (which wasn’t yet a mound) the entire nine innings, Will White, who played for the Cincinnati Reds during the ’83 season, pitched in 401 major league games during his career and finished all but seven of them. (249) A batter had to take seven balls to be walked and they used the same ball throughout the game. By the end, it was often soft and harder to hit hard. Outside of the catcher, few wore gloves. Rules were often made up at the day of the game, such as times when the number of fans crowded into the outfield, the teams agreeing to count a hit into the fans as a ground-rule double. At this time, there was only one umpire, which made it easier for players to cheat. Even then players were known by nicknames such as Jumping Jack Jones (a pitcher who jumped with his release), Chicken Wolf (the only meat he’d eat was chicken of which he had 4 servings a day), Long John Reilly, and Old Hoss Radbourn. Achorn brings these characters to life as he tells the story of an exciting season. In the early 1880s, baseball appear to be fading away. In the 1870s, a series of gambling scandals had rocked the game. The National League (the main league of the day) reacted by cracking down on gambling, but also beer sales at ballparks. With the hopes of attracting a more affluent crowd, they raised ticket prices to fifty cents (a lot for a working man). No games were played on Sunday. Then, in 1883, a new league was formed (American Association, not to be confused with the American League), which set ticket prices at twenty-five cents, allowed games on Sunday, and sold beer at the ball parks. Achorn makes the case that this league (known as the Beer and Whiskey League) helped save baseball. The tight pennant race of 1883, between Philadelphia Athletics and the St. Louis Browns, caught the public’s attention. At the end of the season, fans were gathering at empty ballparks to watch the scores being posted on the scoreboard as the results were telegraphed in. Achorn tells the story of the race in a way that brings it to life, capturing the excitement of the fans along with the personality of the players and coaches. Philadelphia won the pennant by one game, but they were floundering at the end of the season with worn-out pitchers. They were so beaten that they declined to play a series against the Boston Red Stockings, the winner of the National League pennant, which would have been the first “World Series.” They were welcomed home with a parade that rivaled the welcome given to veterans returning from the Civil War. Weaving into the larger story is the account of race relations at this stage of the game. There are two other African American ball players who played in the majors long before Jackie Robinson was born. Fleet Walker played for Toledo, a team that joined the American Association in 1884, and even before then William Edward White played for the National League’s Providence Grays. However, segregationist ideals were to win out and it wouldn’t be until 1947 when Jackie Robinson was called up to the Brooklyn Dodgers that the racial barrier was broken. The American Association lasted only a decade. In 1892, the league’s top four teams joined the National League. These include the St. Louis Cardinals (formerly the Browns), the Cincinnati Reds, the Pittsburgh Pirates (formerly the Alleghenys) and the Brooklyn Trolley Dodgers (who joined the league in 1884 and are now the Los Angeles Dodgers). Achorn tells the story of how the Pittsburgh Pirates earned their name (given to them by sportswriters) after the “Alleghenys” tried to “steal” two ball players who had committed to play for the Philadelphia Athletics. (245). The Athletics eventually folded, but when a new team was organized in the city (which by then already had the Phillies), they adopted the name Athletics (which left Philadelphia for Kansas City and now are in Oakland). Another American Association team that must have had a similar reincarnation is the Baltimore Orioles. I enjoyed this book. My only suggestion is that I would have liked to have seen the year put more into context of what was happening outside of baseball. Achorn does this a little, such as referring to a joke about a player who, the year before upon President Garfield’s assassination, was asked about the event. The ballplayer responded by asking what position Garfield played. He also mentions the shooting of Jesse James, in connection to the governor of Missouri attending a ball game. The governor had made it a priority to wipe out the James Gang and had recruited members of the gang to shoot Jesse. When Robert Ford was convicted of the murder of Jessie James, the governor pardoned him two hours after the trial and then sent him $10,000 in reward money. If you love history and baseball, I recommend this book. While the details went woooosh over my head. The inns and outs and scandals in that game at that time was one of the reasons the GAA (Gaelic Athletic Association) it was structured as it was, in 1884. It sounds like baseball has changed quite a bit over the years. I don’t watch much baseball, but my husband is a big Cleveland Indians fan. I’m sure he would enjoy this book.